Every live opportunity is free. Find business opportunities from around the world for free. Detailed analysis of the ICT market in cities for Arup. The fate of young firms working with UK Government for Nesta. The state of the consulting market in UK. The fate of small business in UK Local Government. 151,911 live opportunities from 250 countries around the world. We gather every opportunity we can from across the world to help you find what you need. We use the best search tools to give you fast, accurate, results. 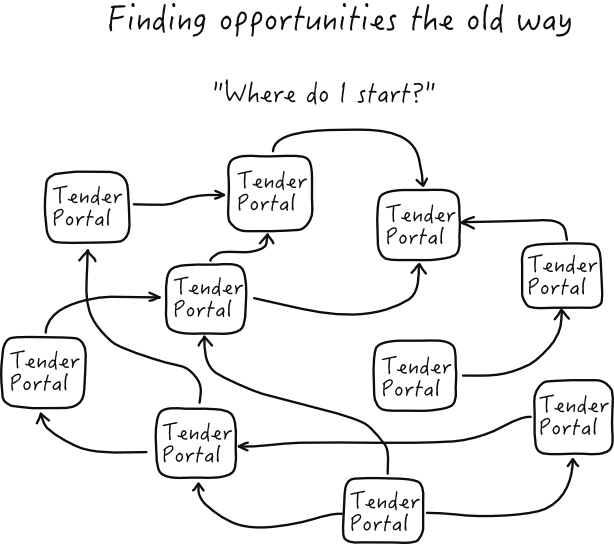 Access to all of our open tender notices is completely free. We gather data from over 300 publishers around the world. Or use your email address to register.